Having released his Paranormal LP last July, Alice Cooper is now gearing up to take it on the road throughout North America this summer. 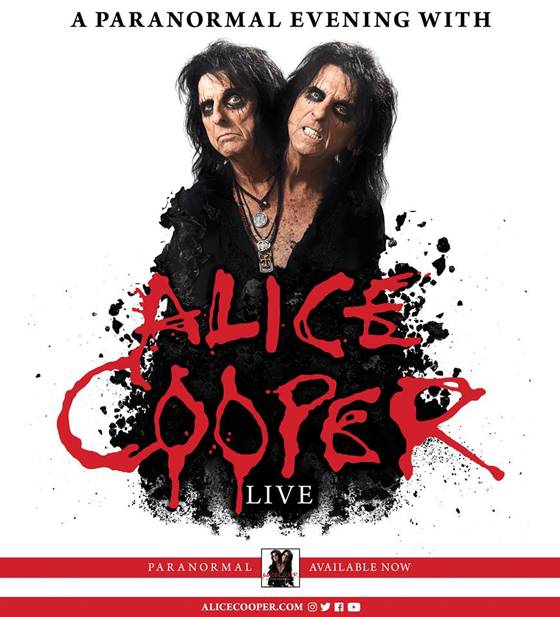 The rock icon's "A Paranormal Evening with Alice Cooper" tour will keep him on the road for a total of 23 shows throughout August and September. The run will bring Cooper to Canada for seven appearances, making stops in Vancouver, Calgary, Edmonton, Saskatoon, Estevan, Winnipeg and Thunder Bay. Tickets for all dates go on sale March 16 at 10 a.m. local time. You can find a complete tour itinerary below. Alice Cooper Thinks Today's Artists Are "Anemic" and "Afraid to Be Rockstars"